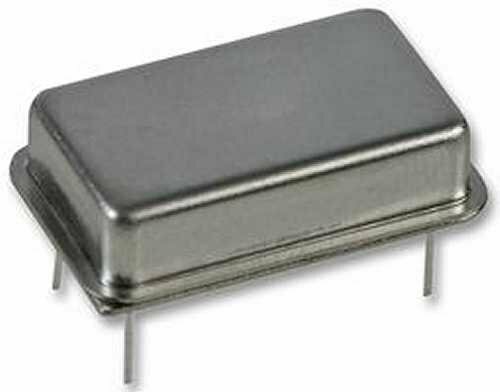 Electronics-Salon 1PCS 1 MHz Quartz Crystal Resonator, HC-51/U, 1.000 MHz, 1000 KHz. 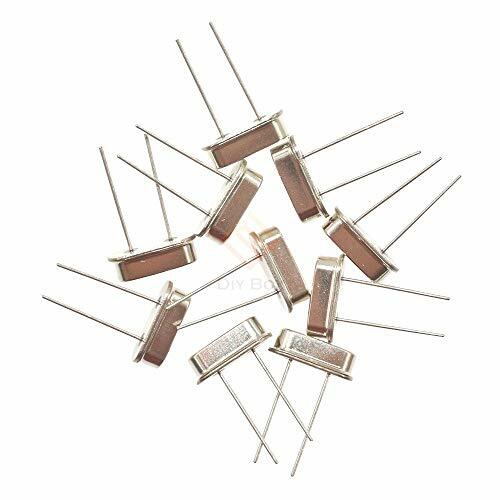 Electronics-Salon 20PCS 12 MHz Quartz Crystal Resonator, Oscillator. Output load TTL: 10 TTL max. 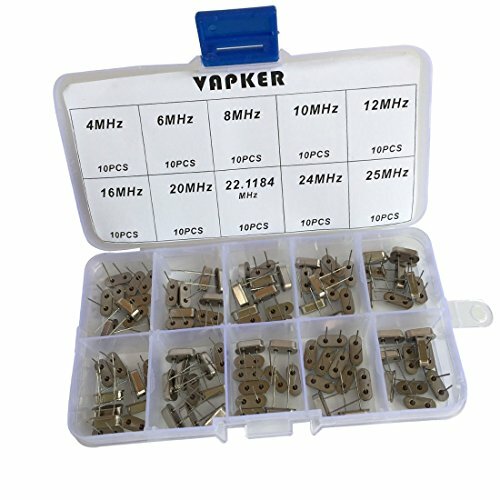 10 Value:4 MHz, 6 MHz, 8 MHz, 10 MHz, 12 MHz, 16 MHz, 20MHz, 22.1184 MHz,24MHz, 25 MHz.Each 10 Pcs. Widely used in TV, automobile electronics, pc cards, electronical meter, DVD, MP3, MP4, etc. DIP Quartz Crystal application of computers, small UMPC,digital television, electronic boards, etc. 50 PCS(± 2%) packaged into one bag, wonderful spare part for daily use. 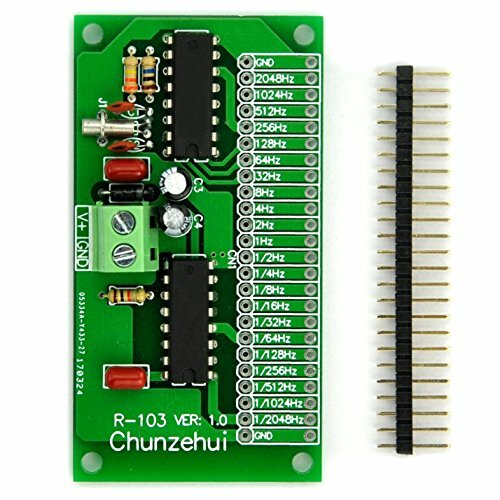 Chunzehui 2048Hz ~ 0.00049Hz(1/2048Hz) Extremely / Super Low Frequency Square Wave Oscillator Module, Square Wave Signal Generator. Total 22 output ports, at the same time can output 22 frequencies. Total 22 output ports, at the same time can output 22 frequencies: 2048, 1024, 512, 256, 128, 64, 32, 8, 4, 2, 1, 1/2, 1/4, 1/8, 1/16, 1/32, 1/64, 1/128, 1/256, 1/512, 1/1024, 1/2048 Hz. Operating Current (no load): Specification: http://www.audiowind.com/new-pdf/r-103.pdf, no paper specifications, please download this document. 1/2048 2048Hz Extremely / Super Low Frequency Square Wave Oscillator Module. Frequency Range: 2048 ~ 1/2048 Hz, total 22 output ports, at the same time can output 22 frequencies: 2048, 1024, 512, 256, 128, 64, 32, 8, 4, 2, 1, 1/2, 1/4, 1/8, 1/16, 1/32, 1/64, 1/128, 1/256, 1/512, 1/1024, 1/2048 Hz. 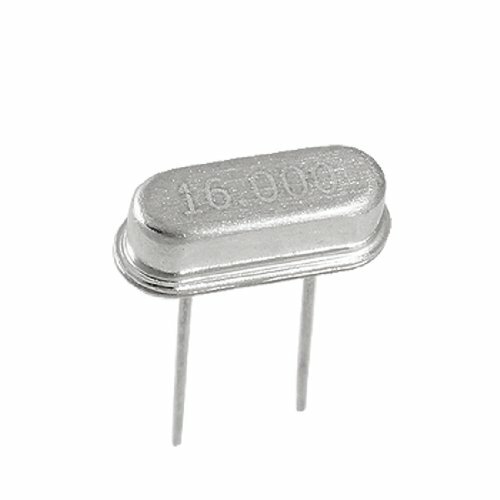 Operating Voltage: DC 3 ~ 15V, Operating Current (no load): < 10mA. Frequency Accuracy: +/- 20 ppm. Output Duty Cycle: 50% 5%, Operating Temperature Range: 0 to 70 C.
Specification: http://www.audiowind.com/new-pdf/r-103.pdf, no paper specifications, please download this document. 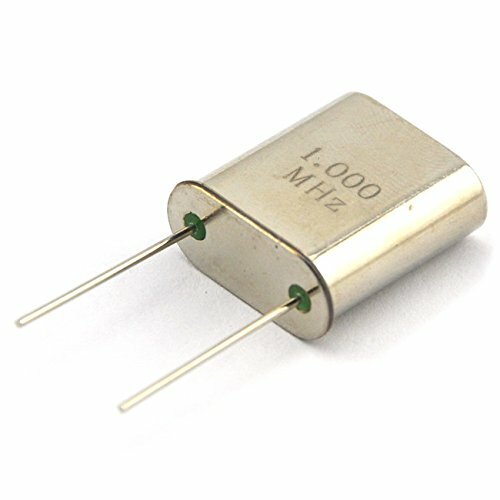 1 MHz Quartz Crystal Resonator. Quantity: a lot of 1 piece. 20PCS per lot. 100% new, never used. Frequency: 12 MHz Frequency Tolerance: 30 ppm. Load Capacitance: 20 pF. Package: DIP HC-49S. RoHS Compliant. 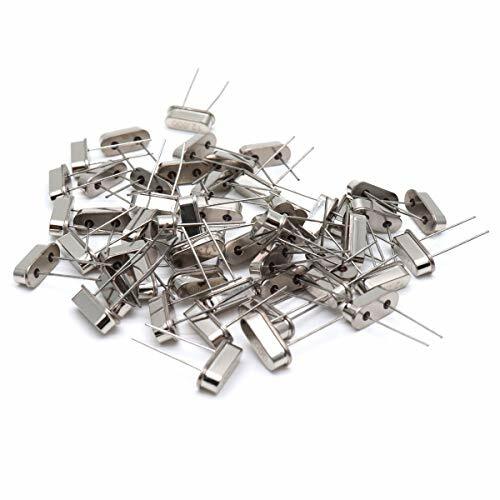 They are small size, light weight, high reliability, high frequency stability, used in household appliances and communications equipment. Widely used in TV, automobile electronics, pc cards, electronical meter, DVD, MP3, MP4, RISC & CISC Microcontrollersetc. Contact us if you have any question, we'll help you with our best. 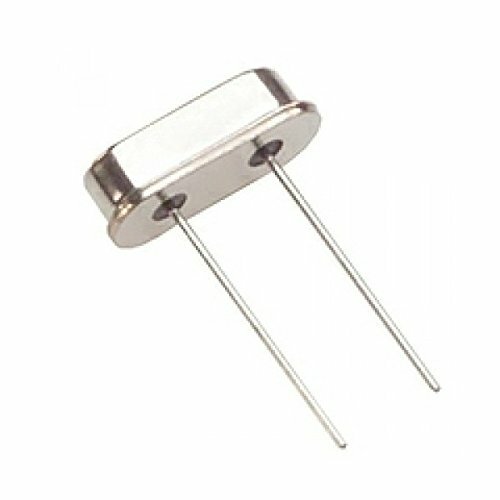 Features: 12.000MHz Frequency, 20PF Load Capacitance, DIP Mounting type and +/- 20PPM Frequency Tolerance. 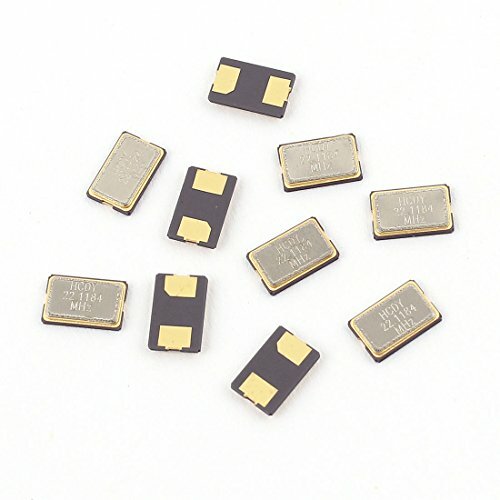 The quartz crystal oscillator is a high precision and high stability oscillator that provides a stable signal for integrated circuits and it stabilizes the frequencies of radio transmitters and receivers. 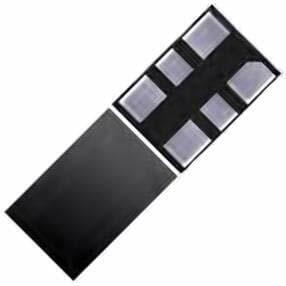 Made of high quality material, very durable and stable to use, application of computers, small UMPC, digital television, electronic boards, etc. It is widely used in various types of oscillating circuits such as color TVs, computers, remote controllers. Also in communication systems for frequency generators, clock signals for data processing equipment, and reference signals for specific systems. 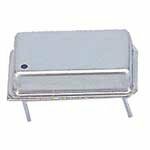 Jameco Valuepro CY32.76 Crystal Oscillator, Tuning Fork, 32.768 KHz (Pack of 10), 32.768000000000001 Hz (Pack of 10). Frequency: 32.768Khz. 4Mw maximum. 10.5Pf. 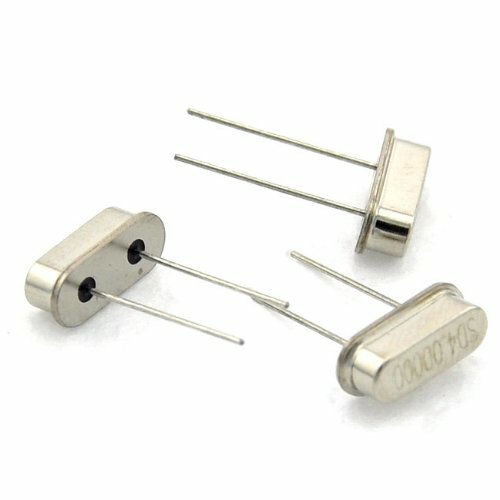 Jameco Valuepro CY32.76 Crystal Oscillator, Tuning Fork, 32.768 KHz (Pack of 10), 32.768000000000001 Hz (Pack of 10). Unit Count : Oscillator. Quantity: a lot of 20 pieces. Applied in the DVB, GPS, DVD, digital photo frame, firewall, high-performance MODEM and router, VPN access server, wireless router, network storage devices, VOIP gateway, digital hard disk video recorder, DSLAMs, high-end printers, teaching demonstration network equipment, switches, set-top boxes, ensure the machine, liquid crystal display driver, mouse, keyboard, bluetooth stereo, car MP3, the LCD panel, ect. 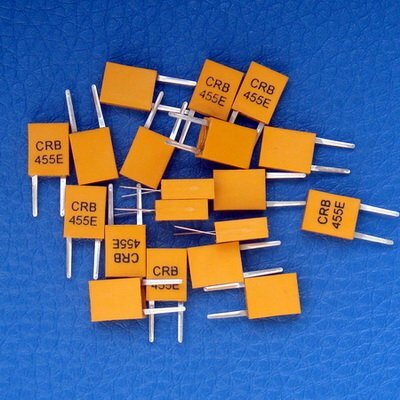 Our store also has other crystal oscillator , if you need please contact our customer service. 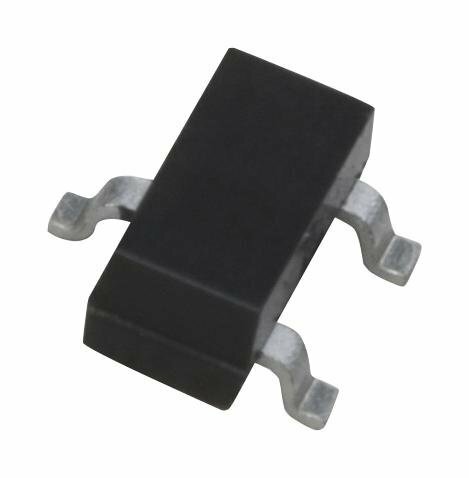 We are a professional Electronic Components and module manufacturer. You can search keywords in our store. I believe you can find the modules you need. USA and Canada Estimated Delivery Time: 6-24 days(trackable),----- We provide Expedited Shipping service : 3-8 days. (excluding handling time).If the order amount above US $150, we will use Expedited Shipping service for free.